Lift up the right side of the hard drive and disconnect it from the motherboard. Remove the hard drive. 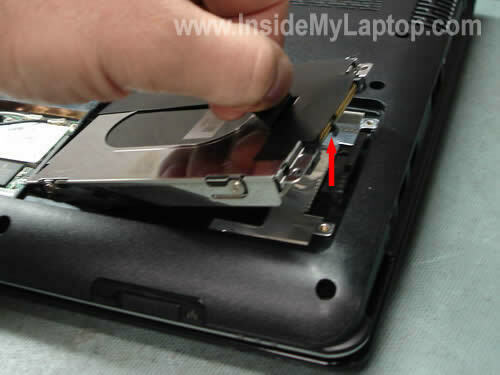 Remove one screw securing the CD/DVD optical drive. 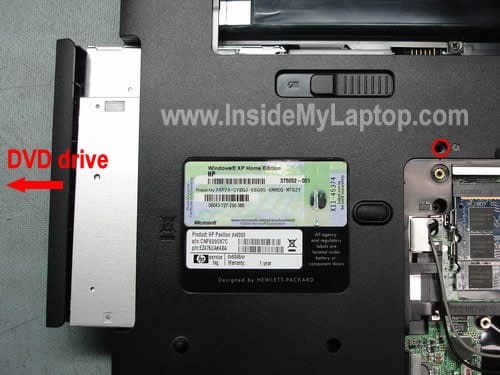 Pull the drive to the left and remove it from the laptop. 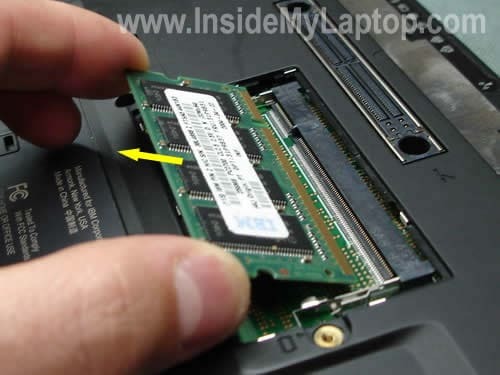 In order to remove the memory module, spread latches on both sides from the memory module. The memory card will pop up at a 20-30 degree angle. Carefully pull the memory module from the slot by the edges. Remove both modules. 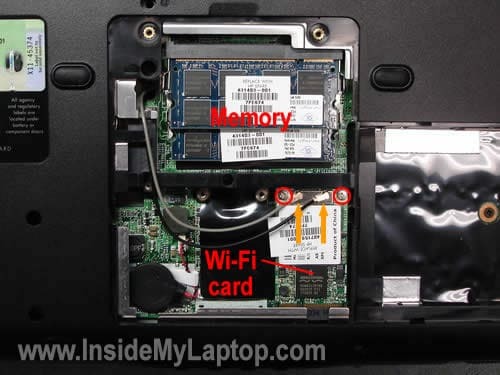 There are two wires connected to the wireless card (Wi-Fi card). These wires are antennas. In order to disconnect the antenna cable from the card, grab the gold connector with our finger tips and unsnap it from the card. Now I’m going to remove the keyboard. 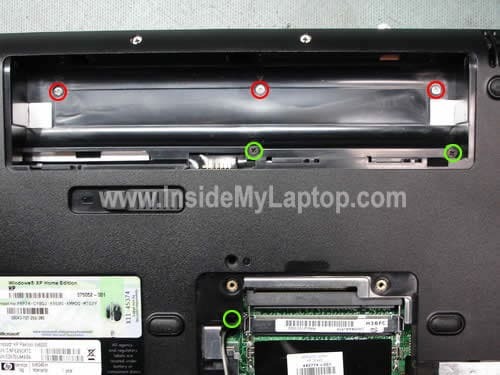 Remove three screws securing the keyboard bezel, I marked them with red circles. Remove three screws securing the keyboard, I marked them with green circles. 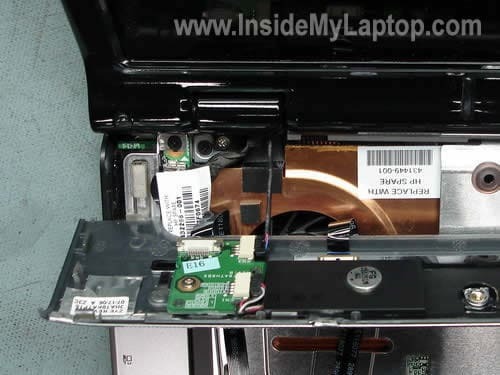 By the way, if you are replacing the keyboard, you don’t have to remove memory, CD/DVD drive and wireless card. Simply go from the step 1 directly to the step 5. 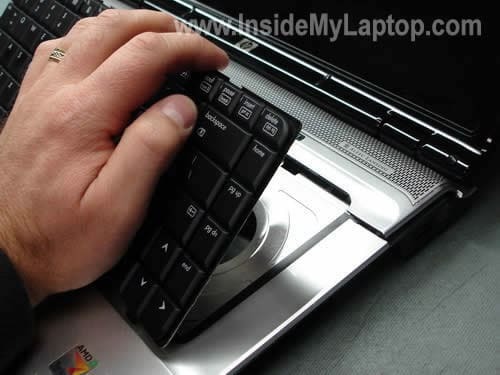 Turn the laptop over and start lifting up the bezel. Be careful, do not lift it up to far because there are wires connected to the bezel. You can see these wires on the last picture. After you release the bezel, you’ll be able to lift up the keyboard as it shown on the picture below. Leave the bezel attached to the laptop. The keyboard is connected to the motherboard via a flat ribbon cable. Before you pull the cable you have to unlock the connector. 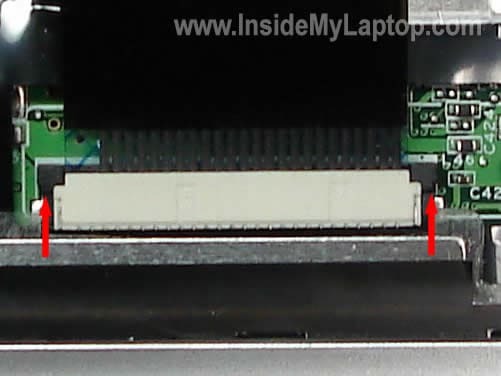 Here’s how to unlock the keyboard connector on the motherboard. 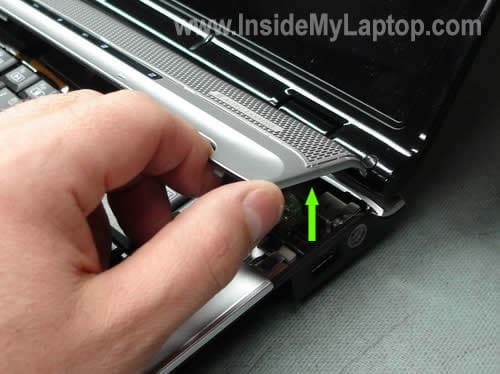 Very carefully move the connector locking tab to the direction shown by two red arrows using your finger nails. Move it abut 2 millimeters, not more. The tab must stay attached to the connector. All you have to do is release the cable. WARNING! If you destroy the connector, the internal keyboard will not function anymore. You’ll have to either use the laptop with an external keyboard or replace the motherboard. The keyboard connector is permanently soldered to the motherboard. After the cable has been released, you can pull it from the connector and remove the keyboard. Replace the keyboard with a new one if needed. 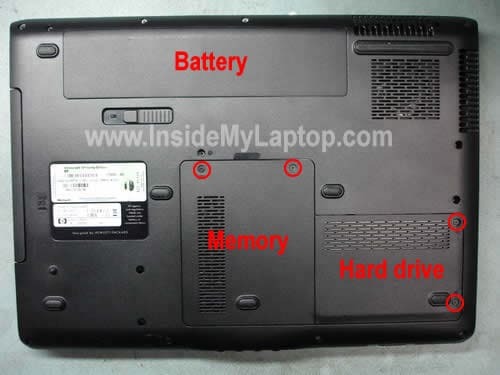 Here you can find new replacement parts for your HP Pavilion dv6000 laptop. 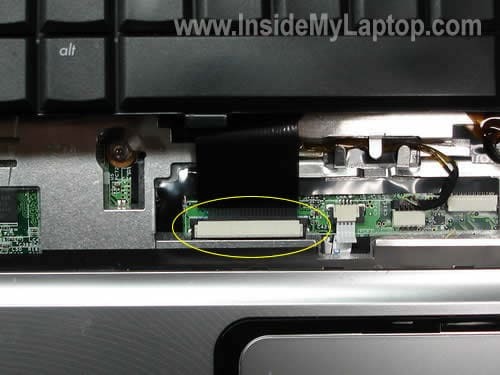 On the picture above you can see how the keyboard bezel is attached to the laptop. Be careful when you lifting up the bezel, you can accidentally disconnect the cables.